Cape Town is a melting pot of cultures and the culinary influences are endless. We’ve round up the best Asian fusion places in Cape Town where you can enjoy umami zing and flavours of the east in the Mother City. We’ve looked specifically at East Asian food. The popular Cheyne’s restaurant in Hout Bay is one of those of eateries Capetonians can’t stop raving about. Chef Cheyne Morrisby has been able to steal the hearts of locals and visitors with great service and consistency. Their extensive menu is split into four sections, namely Earth (salads and exquisite vegetarian dishes), Land (meaty dishes), Sea (seafood), and Happy Endings (we don’t need to explain that one, do we?). The dishes are served tapas-style so you’ll be able to sample a good selection. The atmosphere is casual and relaxed and lends itself to a great lunch or night out with friends. This modern restaurant in Mouille Point, named after Japanese comic books, has a contemporary and refreshing take on Asian cuisine. Their sushi is phenomenal and fresh, but their tapas is not to be missed. The miso-roasted aubergine with crispy chickpeas will change your life. They also offer poké bowl, interesting desserts, and Asian drinks. In addition to their Mouille Point restaurant, they have a stall at the popular Mojo Market in Sea Point and they have opened a new branch at the Piazza on Church Square in the CBD. Don’t miss their two for one sushi special on Tuesdays (sit down only). 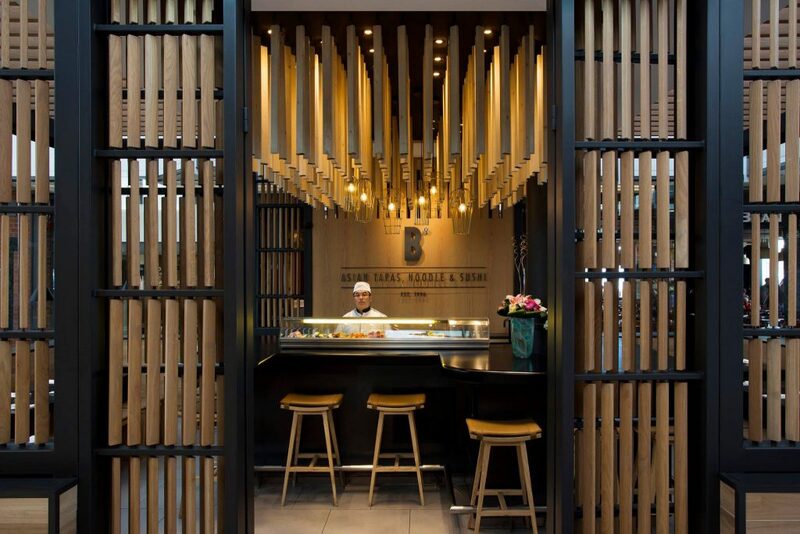 South Korean barbeque meets South African braai at this cool and industrial looking hangout in the heart of town. Here you can skewer and braai anything from a good old mielie (corn on the cob) to kudu, warthog, Springbok, halloumi, and rosa tomatoes on the fire at your table. The Kimchi (Korea’s national dish of spicy fermented cabbage), Ramen Noodles (in a spicy broth with grilled pork, spring onion, a poached egg and dried seaweed) and Bibimbap (pot with cooked vegetables and a fried egg on a bed of rice and topped with sesame seed oil) is exceptional. For dessert, you can even roast your own marshmallow or make a s’more by smooshing the marshmallow between two biscuits and topping it with dark chocolate. This much-loved spot on Long Street serves simple and easy-going Asian street food packed with flavour. With simplicity as their philosophy, their food is unassuming and served up on disposable plates, but the quality of the food is undeniable. 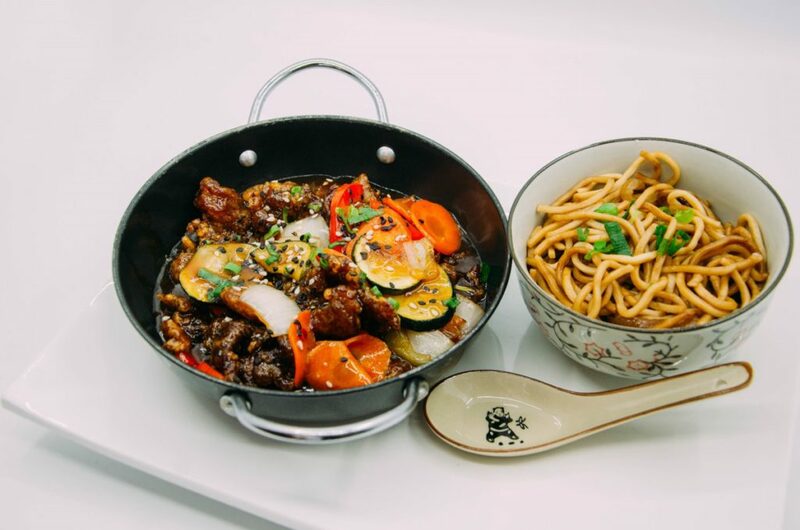 Although their name suggests their food is only from the South of China, you can expect a good mix of Asian favourites as well as some delicious plates you might never have tried. It’s a cosy spot so be sure to book to ensure a table. East meets West at this modern eatery at Wembley Square in Gardens. It’s a people-pleaser for an array of palates with seafood, sushi, burgers, and Thai curry on the menu. You can even get the best of both worlds with Western sushi that combines textures and flavours in an inventive and tasteful way. They also have vegetarian and banting options, so everybody will be well catered for. One of Cape Town’s favourite rooftop bars also serves Japanese tapas and treats that will transport you to the streets of Tokyo. Try their bites of thinly sliced fish, miso butter corn, sweet and sticky ribs or opt for a small bowl of tempura veg, miso-glazed roast eggplant, or deep-fried cauliflower with togarashi spice and sriracha aïoli. If you’re looking for something more substantial they have large bowls of miso soup, pork udon noodles, or crispy fried silken tofu with matcha and dashi broth, to name but a few. Remember to leave some space for dessert as their warm, grilled mochi balls in sweet soy caramel are a must-try. The restaurant has an alternative but homely atmosphere that makes it a unique find on the Cape Town foodie scene. While Saigon specialises in Vietnamese cuisine, you can also indulge in Japenese, Chinese, and Thai flavours at this steadfast and dependable eatery in Gardens. It’s not just us mere mortals who love Saigon—renowned chef Luke Dale Roberts is a fan of their crispy fish fillet with its ginger, chilli, and fish sauce. If you’re lucky enough to get a table outside you’ll be able to enjoy some people watching and the background sounds of the city, but sitting inside surrounded by the Vietnamese decor is also pleasant. We’d be failing at our job if we didn’t tell you that they also have deep fried ice cream on the menu. If you like to start your meal with edamame beans, sushi or Tom Yum Soup, follow it up with Thai style prawn and noodles or a grilled chicken skewer Japanese style and finish it off with malva pudding or Halawa, then you’ll find your perfect menu at Balducci Asian Noodle & Sushi Bar in the V&A Waterfront. 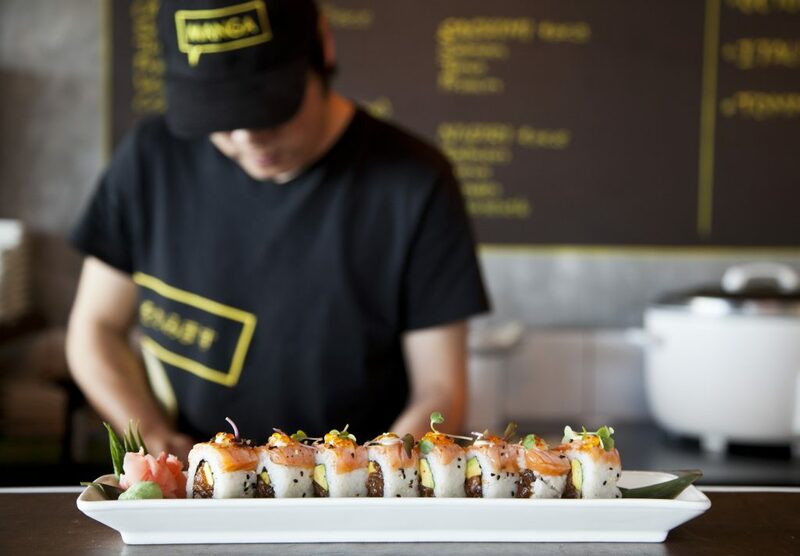 Their sushi offering is extensive and you can enjoy it with a cocktail or hand-spun milkshake (with decadent flavours like peanut butter & Crunchie, cookies & cream, and Lindt chocolate). You’ll feel right at home in this intimate and cosy Cape Dutch homestead turned restaurant in Hout Bay. While their menu is focused on Royal Thai cuisine, you can sample an array of Asian dishes. They have five set menus you can choose from each with multiple main courses to share. Otherwise, their à la carte menu offers duck, chicken, beef, ostrich, pork, or vegetable dishes and curries with aromatic flavours that fill the candlelit rooms. Booking a table is highly recommended and for something special try their Sunday buffet. Nobu at the One&Only at the V&A Waterfront has secured a reputation for being one of the finest Asain restaurants in town and it’s easy to see why. From the sake, Japanese beer and Asian inspired cocktails to the exquisite sushi and South African flavours, it’s a lot to love. While the menu offers an extensive selection of local seafood, there are also some veggie options to look out for like shitake salad, tofu and tomato sashimi, and zucchini and sweet potato tempura. If you’re looking for something special try their multi-course tasting menu. Finish off with homemade mochi or a chocolate bento box (chocolate fondant with green tea ice cream) and you’ll legitimately feel like you’ve visited for Tokyo for a night.